A custom designed, double sided fireplace at the W-Hotel, Leicester Square. 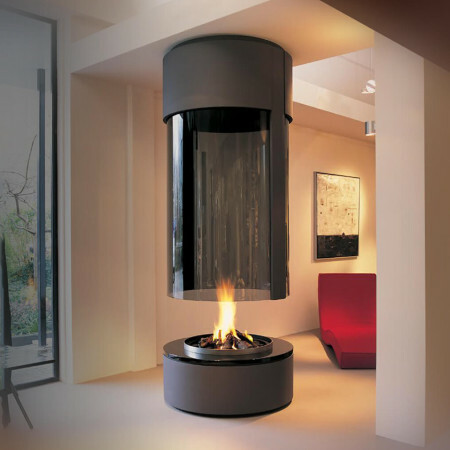 Two of these cylindrical, bespoke gas fires form the focal feature in the bar area and create a wonderful, relaxing ambiance. 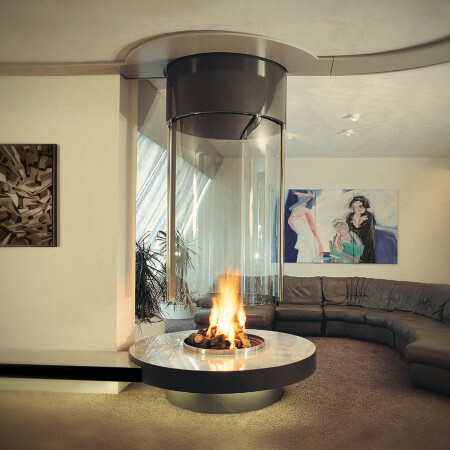 The tall, cylindrical glass gives all round vision to the flames and minimal visual obstruction and the glass being closed down to the base keeps the flames away from bar goers. The white canopy is finished with a high gloss, white painted finish. Well executed with great attention to detail, this design was the concept of famous Dutch design house Concrete. To find out more about this design or other one off, bespoke designs, contact a Design Consultant.